In this series, I’m going to take you through my version of three perfect days in Chicago. We will visit Chicago while immersing ourselves in its history and its culture. There are many wonderful places to visit in Chicago. My second day in the city was just as perfect as my first. Morning—I am quite in love with the Driehaus mansion (40 E. Erie)—this stately residence pays tribute to the Gilded Age in America. Its finishings scream “look at me.” From its intricately-carved wood pocket doors to its parqueted floors, the 1880s home of banker Samuel Nickerson feels rich. Now a museum, visitors can explore its three floors, which have a nice collection of Tiffany decorations, period furniture, paintings, and rotating exhibits (they had one on art jewelry when I was there). Ask the guide to let you see where the servants quarters were located for a Downton Abby upstairs/downstairs experience. As you explore the mansion, think about how the nouveau riche used their homes as an expression of their financial prowess. Revel in the contradiction between various styles of architecture—all chosen to express grandeur. Bring comfortable shoes because those marble floors can wreak havoc on the back! After leaving the Driehaus Museum, you are fairly close to Michigan Avenue so now might be time for a little shopping down Chicago’s Magnificent Mile. Although I prefer the stores closer to the Palmer House (on State St.), any visitor to Chicago has to give at least a passing glance to the “Rodeo Drive” of the Mid-west. 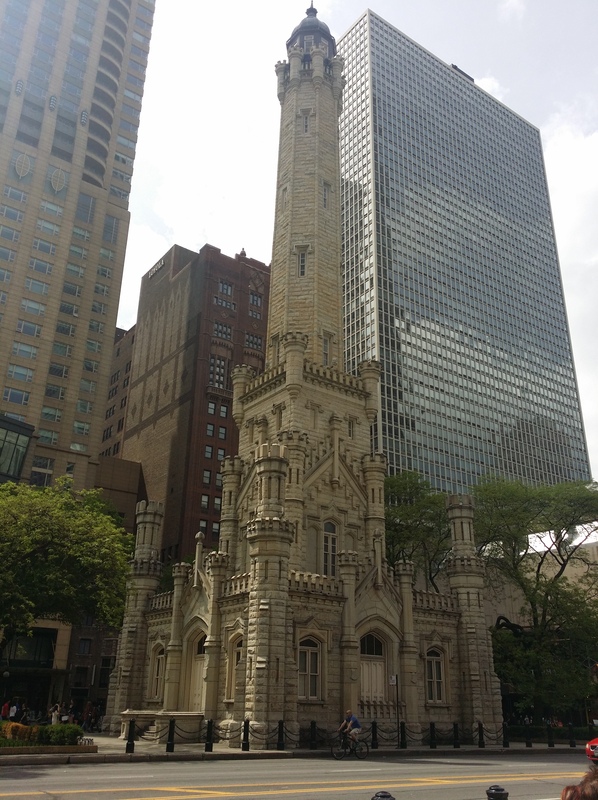 While shopping, you might want to note Chicago’s Water Tower (806 N. Michigan)—a medieval looking structure that conjures up images of knights and fair maidens. Finished by William Boyington in 1869, it survived the Great Fire of 1871 and stands as a testament to endurance. Originally used for firefighting and drawing clean water from Lake Michigan, today it houses a tourist information office. Lunch—If you’ve had your fill of shopping, I highly recommend experiencing Rick Bayless’ Mexican cuisine at Xoco (449 N. Clark). A trained anthropologist, Bayless has spend a good deal of his life immersed in Mexican culture. A popular PBS chef/host, his food is mouth-watering. Enjoy the fresh chips and guacamole (with a variety of toppings to add). Savor the succulent short rib and pickled jalapenos in the Pepito torta. 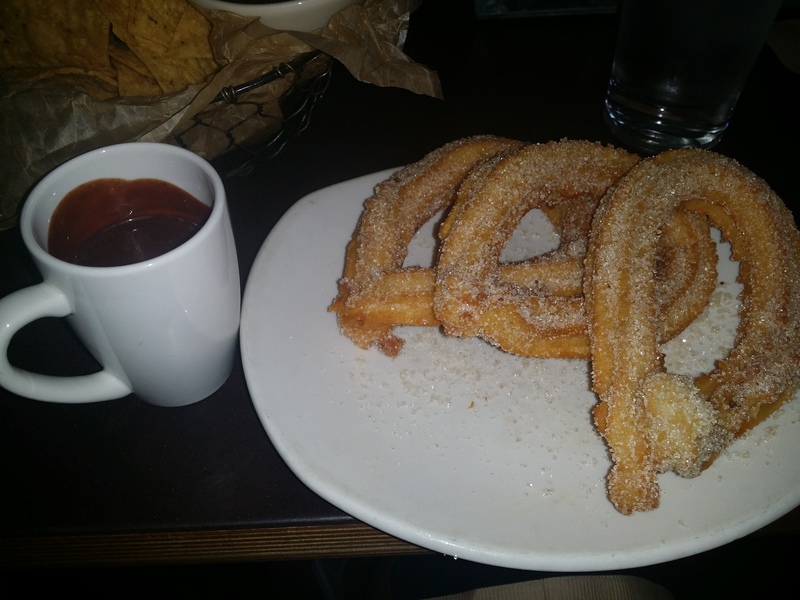 And don’t miss dessert—the chocolate sauce for the churros is almost a religious experience. Dinner—Last time that I was in Chicago, I chose to dine at the historic Berghoff restaurant. We had a German in our group and wanted to hear his thoughts on German cuisine in the States. I had a fairly good Jager Schnitzel, although the spaetzle was a little eggy. If German food isn’t your favorite, there are many fine restaurants in the area of Art Institute to be discovered. 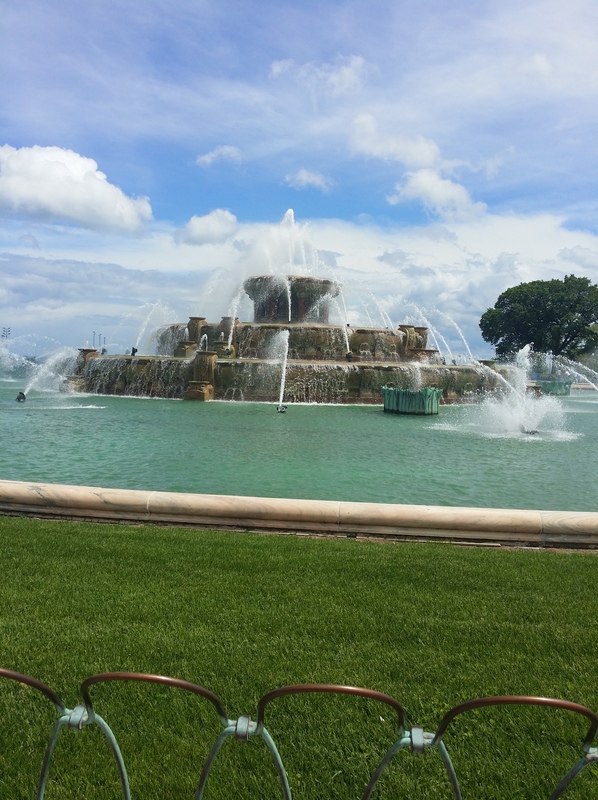 Evening—If the weather is fine, I suggest a post-dinner stroll to Buckingham Fountain (301 S. Columbus Dr.). Although I’ve visited this wedding-cake looking masterpiece several times, on my last visit I saw it at dusk. The experience was thrilling. As the sun set over Lake Michigan in the background, the fountain came alive with a light and water show accompanied by music. As an architectural implement, the fountain is impressive. Kate Buckingham commissioned the fountain to give the city an impressive front door from the lake. The fountain (inspired by Bassin de Latone at Versailles) has three layers of basins surrounded by four seahorses to represent the states bordering Lake Michigan. The fountain’s basin symbolizes Lake Michigan. It is a perfect end to another perfect day in Chicago.